Set up notifications or see everything in one place. At its Game Developers Conference talk today, Valve showed off a redesigned library page that finally adds some modern shine to the grey window that holds most of your games. It also announced and showed off a new feature coming to Steam, called Events. The Events page will round up what's happening in the games you follow and have in your library, organizing occasions like game updates, streams, tournaments, and so on. Valve's Alden Kroll called out the fact that the feature is built to support the needs of today's live service games. You can check out Valve's work-in-progress version of what the Events page will look like above. It will, unsurprisingly, use Steam's recommendation algorithms to highlight events that seem especially interesting to you, but you'll be able to sort by events specific to games in your library or hide ones that don't interest you. 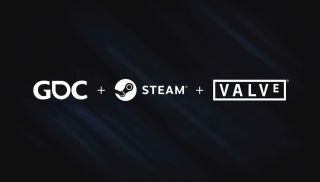 Developers will obviously have to support the event system, but Valve highlighted this as an opportunity for developers to get the word out to players about what's coming. Events won't be relegated just to this page, but will be shown in other areas of Steam as well. The Steam Events system has already been in early testing with a small group of developers, and Valve says it plans to begin testing with an open beta within the next couple months. Want a regular round-up email of what's going on in all your games? Steam will soon do that.